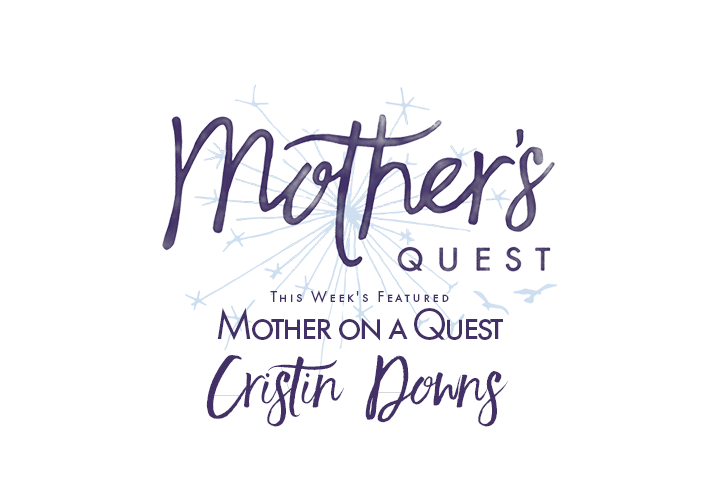 Fierce, funny, and fired up, Cristin Downs is a leader, truth seeker, and storyteller with a hell-bent mission to empower women. 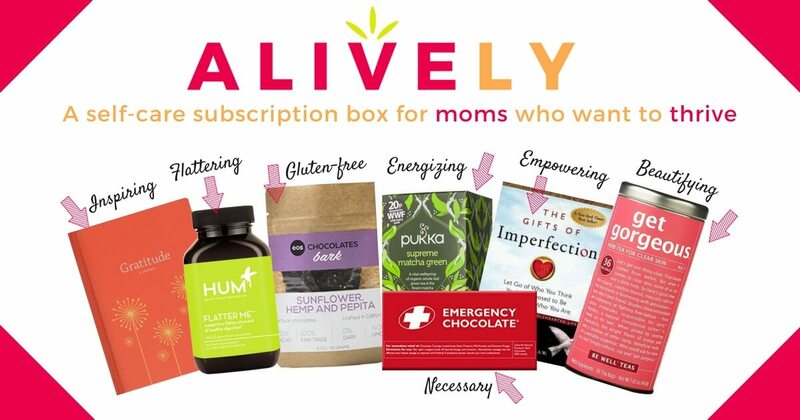 Described as a “gentle, non-stop powerhouse,” you can find Cristin interviewing visionary women leaders on The Notable Woman Podcast and The Notable Woman Live!, making the news notable on her daily news show, Notable News, found on Anchor and FB Audio Broadcasts, hosting weekly guest experts, panels, and one day summits that empower women in her free Facebook community, The Society of Notable Women, empowering women in leaderships roles through her programs and think tank: Hype Yourself, Be the Boss (beginning February 2018), and The Success Now Club (beginning April 2018), and coaching and consulting on leadership, empowerment, management, and process for businesses and non-profits. 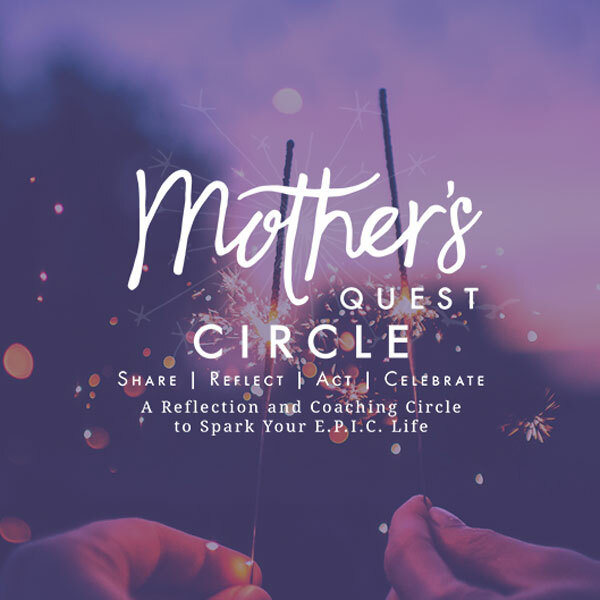 She flexes her creative muscles through Much More Media, LLC, a brand elevation agency, that she co-founded with her husband, actor Michael Moreno. She’s a connection maven and hype man, and she sets movements on fire. 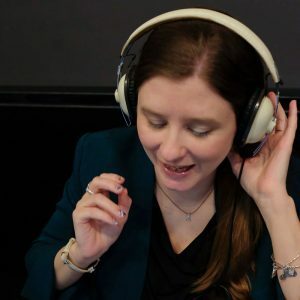 Her expert topics include disrupting patterns or behaviors, bringing your ideas to life, becoming the boss of your business or non-profit, creating community, especially in Facebook groups, creative content projects like podcasting, Facebook live shows, or recorded video, and “hype,” self described as connection + scrappy PR. With over 40 J-O-B-S under her belt, Cristin worked A LOT of places for A LOT of bosses. From installing architectural lighting to managing theatre teams of 150+ to leading multi-million dollar organizations and projects, Cristin’s got stories, jokes, and experience for days and days. More than a decade in professional theatre defines her work/life approach which emphasizes collaboration, humanism, professionalism, and “get ‘er done-ness.” She’s an Alchemist, ENFJ, theatre junkie, and bookworm. Mama to a tiny toddler mischief maker and pet menagerie, Cristin holds down the fort in NYC. The biggest impact my Mother had on me was on my life as a reader. My Mom would take us to the library every week, and it was a real treat to get books. A gift to us! Even now as an adult, a trip to the library, bookstore, or even Kindle store brings me so much happiness. I think my biggest path moments have been two: 1) Going back to work at 6 weeks and being “lucky” for having a maternity leave made me understand how most of my life has been spent now recognizing that I’m a woman, which is unavoidable when you’re still bleeding and leaking milk when you’re back at work, and 2) Seeing Nazis march on the University of Virginia had a profound effect on me as an educator. My passion is for all women to recognize that they’re notable, just as they are. The Mother’s Quest Podcast 😉 and the book Tell the Wolves I’m Home by Carol Rifka Brunt. My Mom’s youngest sister is 20 years younger than her, only 14 years and 12 years older than my sister and me. She was like an older sister to us and my cousins too. 4 years ago, after repeated calls in the middle of the night, my Mom reached me to let me know that my Aunt Lori had a major heart attack. 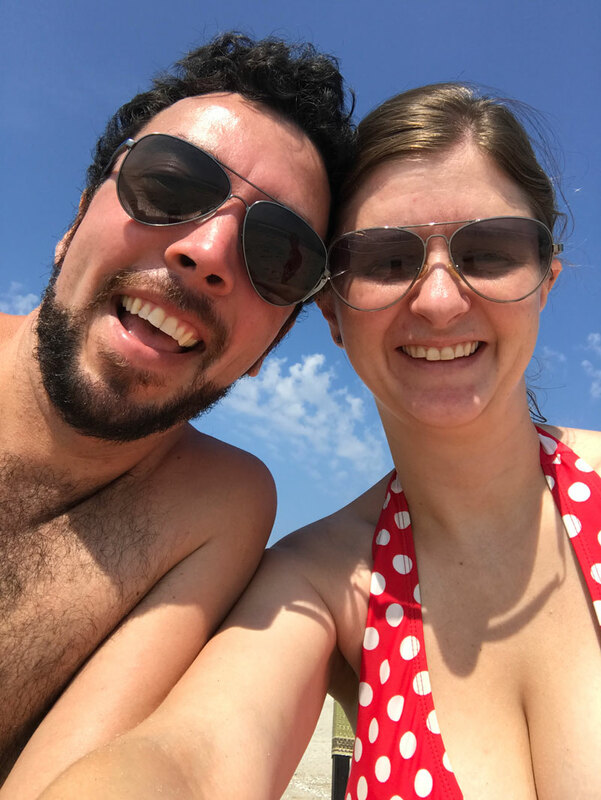 My husband and I immediately went down to Philadelphia to be at the hospital with my family. The next week was incredibly painful. By the end of the week, the doctors made the recommendation to take my Aunt off the machines keeping her alive. I left work to be with her. She was in the hospital where she worked, and my family invited her co-workers to come and say goodbye. Families normally don’t do that so employees don’t get the opportunity. It was an anomaly for them, to have that chance. She was a x-ray tech and then a cat scan tech so literally everyone in the hospital knew her. About 100 people came to her room to say goodbye. It was really moving to see how many people loved her. As the day wore on, my family started to head home for the night. I just couldn’t leave though. If I was dying, I would take heart to know that someone was there, holding my hand. I stayed. And since I refused to leave, my Dad did too. We were alone together in that little room for hours, and around 2 am, my Uncle Rich joined us. He couldn’t stand Lori being alone either. Not long after that, my Uncle JP rolled in; he too unable to leave my Aunt alone. Slowly, more and more people joined us. We were together when my Aunt died at noon that day. It was a devastating and powerful experience for me. Soon after, a friend recommended Tell the Wolves I’m Home. In the book, the narrator is grappling with the death of her Uncle from AIDS. Her Uncle is an artist, and a large portion of the book revolves around his art. It’s a mesmerizing tale, interweaving art and family, loss and redemption. The decisions we make as someone is dying and in the aftermath affect us for the rest of our lives. And somehow, we survive the unsurvivable. Tell the Wolves I’m Home is the book that let me weep for my Aunt, celebrate her life, and pick myself back up again. I highly recommend it for anyone confronting loss of a loved one. Ooooo. I have no idea. How did you come into my life, Julie? Julie keeps me grounded and makes me more intelligent. My favorite podcast episode so far is Elizabeth Cronise McLaughlin’s episode. 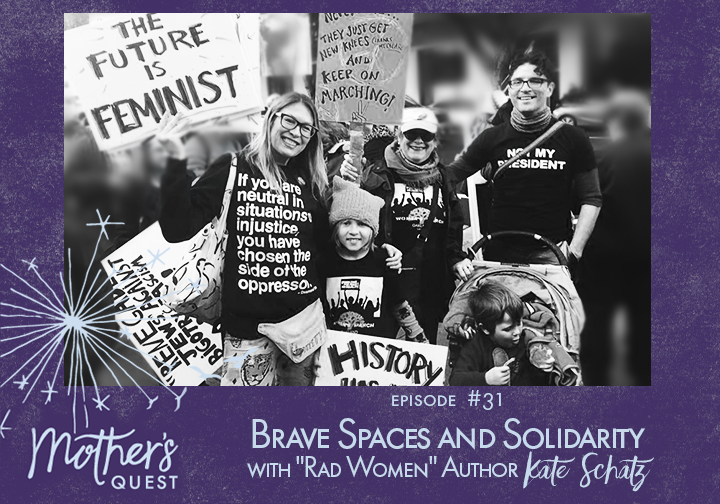 I love the conversation, and for me personally, I love the idea that our work can bring about a change in the world, rather than them needing to be separate. In my own mind, I’ve been approaching them quite separately. 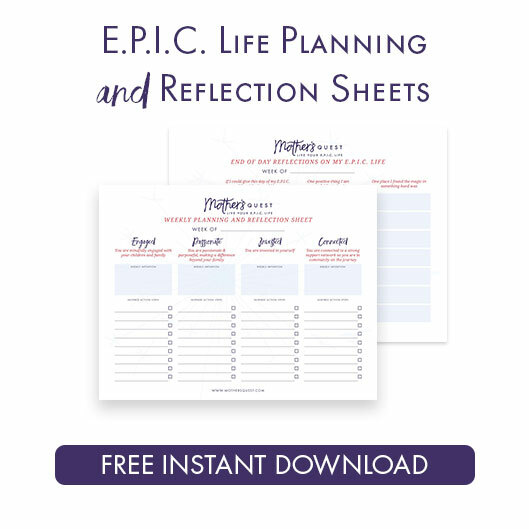 But, in both Elizabeth and Julie, I can see how they bring about the world they want to live in with every project, every podcast, every business endeavor. It’s very motivating! 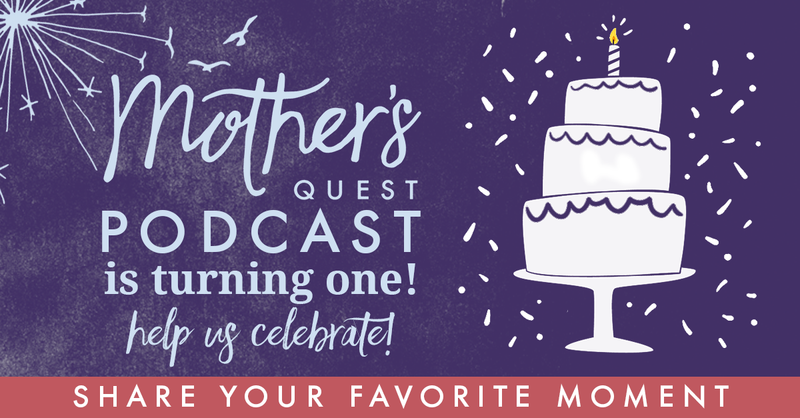 Help me and the Mother’s Quest Podcast celebrate our birthdays!! I launched the podcast on December 1st, almost a year ago, as a birthday present to myself. It’s hard to believe the anniversary of the podcast and another birthday in my life are fast approaching. There has been so much learning, growth, new connections and a decidedly more E.P.I.C. life for me. And…the best gift would be to know what kind of impact the podcast and this community has had on you. Here’s how you can help! ****If an episode, dedication, challenge, or reflection in this past year, either as a podcast guest, listener or community member here has impacted you, would you call in (using the speakpipe tool on the website) and share with us? We’ll be putting together another E.P.I.C. Milestones episode, like the one I did at the end of Season One, and I’d love to feature you in it. Hearing from you and sharing your stories on the podcast would be the BEST birthday present ever! 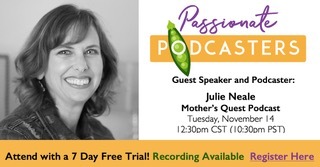 Learn strategies for leveraging your podcast to grow your business at the Passionate Podcasters community. I’ll be one of the first guest podcasting experts to share what I’ve learned along the way, give practical recommendations, and answer your most common and pressing questions. Learn strategies for leveraging your podcast to grow your business. Access valuable Community Resources. To join, click on the link below. 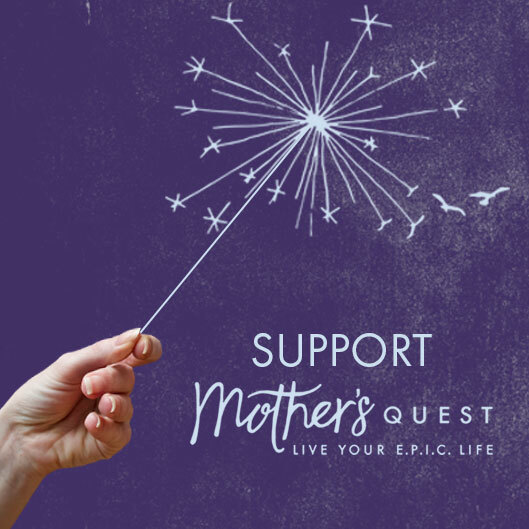 Because we’re an affiliate, if you decide to stay on as a paying member, a percentage of your fees will benefit Mother’s Quest.